Organizations seeking to analyze and manage cyber risk encounter challenges with ever-changing environments, both internally and externally. It is difficult to make sense of risk without having a common understanding of all the factors, which comprise the risk and their relationship to one another. 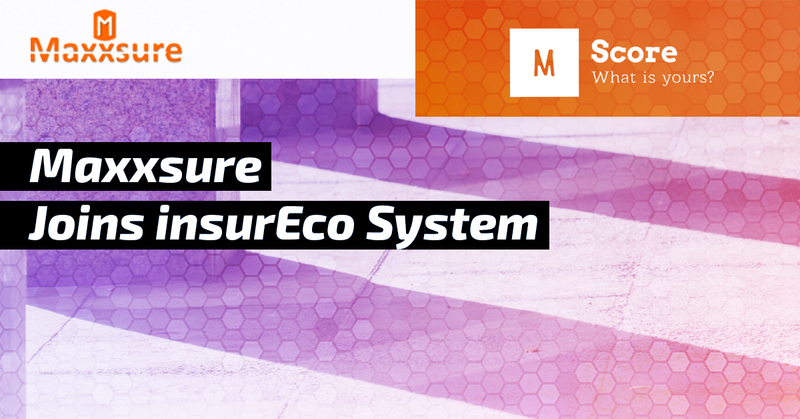 Maxxsure’s M-Score helps organizations to score, standardize, and quantify the risk. Dallas, TX - May 18, 2018 - InsurEco System and Maxxsure announce a relationship to create the most integrated insurance cyber scoring and security platform available. The relationship will bring Maxxsure’s cyber scoring product M-Score to insurEco’s raterSpot and policySpot for use in rating and servicing personal and commercial insurance products. Maxxsure’s intuitive cyber assessment platform evaluates your organizational compliance of security standards and policies. Their M-Score is a comprehensive cyber risk score of an organization on a scale of 1 to 1000, with 1 being poor cyber risk, and 1000 being best cyber risk. The proprietary blend uses six pillars of cyber risk assessment: Governance Standards, Industry Risk, Organizational Risk, Situational Risk, Infrastructure Vulnerability, and Application Vulnerability. In a world of ever-evolving governance, the ability for the Maxxsure’s platform to support a number of industry specific frameworks will play a key role as the insurance industry begins to build programs using cyber assessment. The integration shows substantial real-world progress in InsurEco’s LOI regarding their Cyber Initiative, which includes plans to launch an integrated cyber policy for any policy written through their blockchain-enabled insurance ecosystem, Policy Blockchain.